Brian's crew came out on one of Ocean Warrior 3's Brighton Marina Fishing Trips. 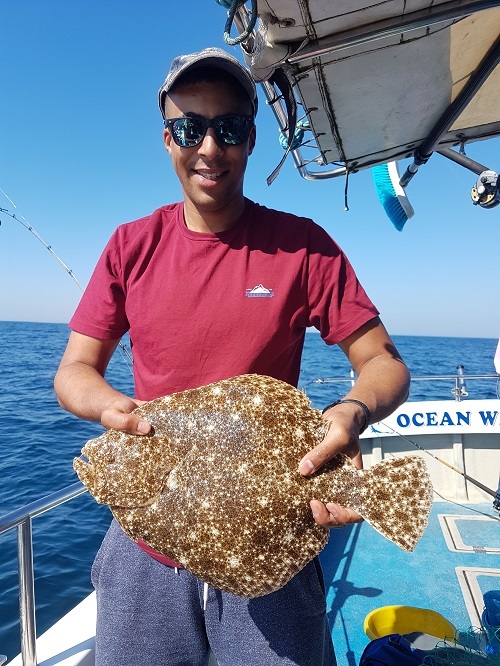 They had a good day on the Turbot fishing with 30 Turbot caught on the day. They were caught using Mackerel baits. 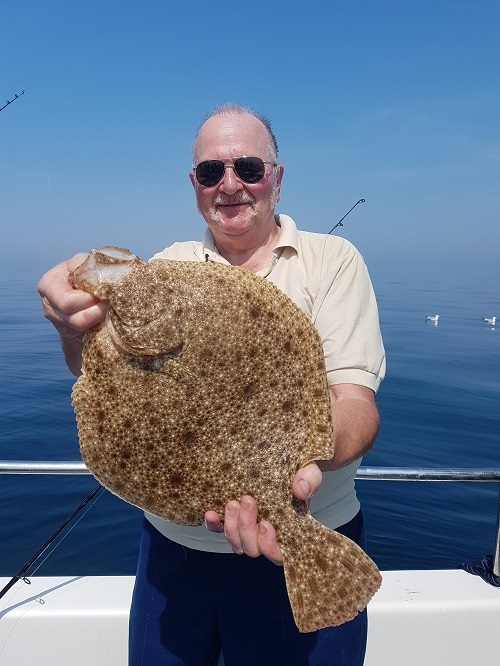 Another nice sized Turbot caught on Brighton Marina Fishing Trips. The Mackerel are still a bit hard to catch at the moment but it should get better. There are a few Cod and Pollock on the wrecks along with Congers now showing. Brighton Marina fishing trips have also been out on the ground fishing. It has also been good with some Black Bream, Tope, Smooth-hounds and some nice Rays showing inshore. If you fancy a day out on a Brighton Marina fishing trip on board Ocean Warrior 3, call David on 07966 377145. 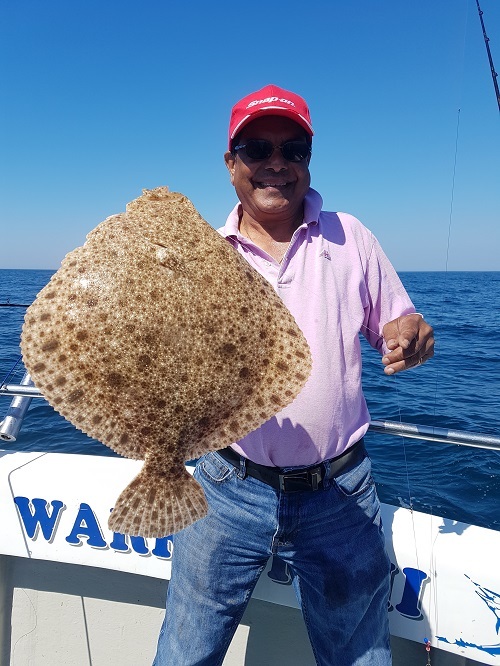 Tabish is a regular angler on Ocean Warrior 3 and enjoys getting out on one of our Brighton Marina fishing trips. 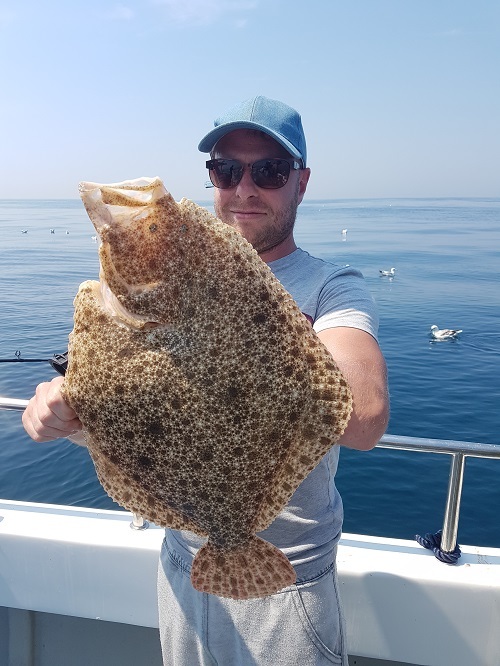 He also had some nice Turbot and caught around 22 on the day. A lot of the crew that day had never fished before and had a good day sea fishing. 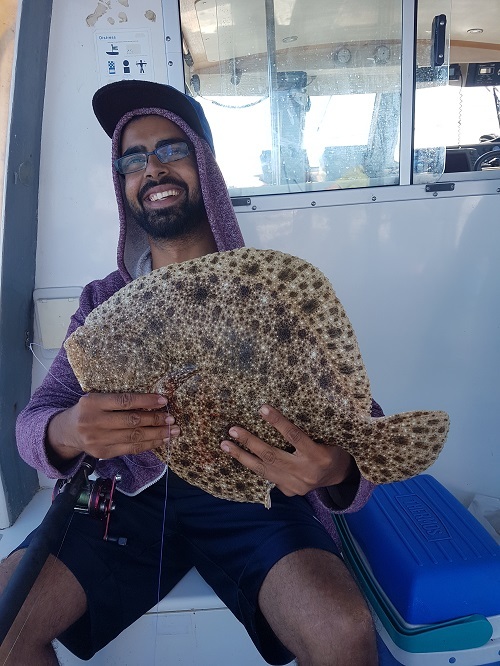 Another nice sized Turbot for Tabish's crew. They also caught some Brill and Gurnard on the day. Brighton Marina fishing trips is not the only thing to do while you visit, there are also lots of shops, restaurants, bars, cinema and amusements for your leisure time. There is also free parking on the top levels of the multi-storey car park for the day. Why not come and join us by booking up one of our Brighton Marina Fishing Trips, just visit www.oceanwarrior3.com for more information.